New Garage Door Price Match Guarantee! We Will Match Any Competitor's Price For Any New Garage Door, Guaranteed. *Price	must be presented in a written estimate form at the time of purchase. Because most of the homes we serve are on or near the coast, we offer a large variety of rust-resistant doors. High quality aluminum garage doors are the ideal metal door on the coast. Durable, rust-resistant and well insulated. 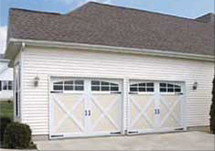 These sturdy garage doors look great without any maintenance on your part. It's worth repeating, because they are aluminum you don't need to worry about rust. In addition to the above styles, you may also consider doors that are unique and offer options to match your home's design. These doors can reflect styles from old world doors, with decorative hand-forged hardware and architectural glass options. They can be customized with gorgeous woods such as mahogany, hemlock and cedar; to contemporary and modern styles in materials such as bronze, aluminum or glass. Precision will work with homeowners, architects and designers to help match your Garage Door to your home's unique style. 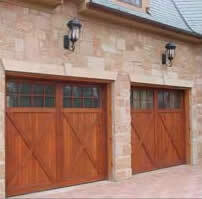 Wood composite garage doors are priced a little above steel & aluminum. Our wood composite doors come painted and maintenance-free. People buy wood-composite primarily for 3 reasons: The number one reason is the appearance. These doors are beautiful. They provide the look one would expect from a high-end wood species . However, these doors will not crack, split, swell or warp like wood can. And lastly, the material we use has established itself in the marine industry for years. These doors will continue to look awesome even in a salty environment with extreme weather for years and years. Glass Garage Doors represent the ultimate in contemporary design with their clean lines and glass expanses. A broad offering of glass panels are available to allow for as much visibility as you desire and 24 different frame colors are available so you can create the perfect glass garage door for your home! 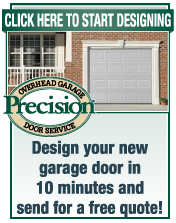 Precision Garage Door of Savannah offers a large selection of garage doors in many styles and panel designs. Call us now and get a free quote on any style of garage door. Nearly every garage door comes with a warranty of some kind. Many companies claim they have a lifetime warranty but don't cover everything. Garage doors have many parts: rollers, cables, springs, door panels, etc. Find out what parts the warranty covers. When shopping you want to make sure you are comparing apples to apples. 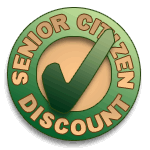 Precision now offers great financing options with no interest for 12 months! Click the banner below using Reference Code 3128 to apply today!